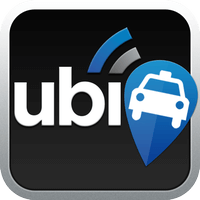 ubiCabs, The Minicab App, is changing the way people book cabs in London. With tech features like driver tracking and location sharing, if you’re booking a minicab in the capital, it’s the app to download. We’ll be at Le Web, spreading the good news. The U.K. taxi and private hire business is a £5.2bn market running on street hailing, cramped walk-in offices and frantic phone calls. Some 45% of cabs are driving empty at any time, while illegal taxis and minicabs literally pick up the slack of regular supply shortages at peak times. Stunning recent growth indicates that the industry is here to stay. Inevitably, its antiquated booking and administrative practices are not. Onto this scene arrives ubiCabs, an iPhone and Android app at the fore of myriad tech responses to the taxi and PHV problem. So, what’s remarkable about another cab app trying to crack London? Caffarri led logistics for Carrefour, and his vision is an app fronting a complete industry reboot. Sure, smooth booking in situations where phone calls don’t work is pleasing customers, but it’s the availability of more cabs, more often, thanks to reducing the 45% idle time, that’s really exciting. For users it means no recourse to illegal cabs and cheaper prices from companies whose overheads and wastage are plummeting. For suppliers, those efficiencies are going to the bottom line. For the capital’s strained transport network, 45% extra cab capacity is akin to finding a Fabergé Egg down the back of the sofa. Currently serving Greater London and focused solely on minicabs, ubiCabs has caught the eye of The Guardian, The Sunday Times, BBC, GigaOM, Recombu and NMA among others. “We’ve focused on reaching early adopters and influential commentators,” says Caffarri, who will now hope that following ubiCabs’ May launch, word continues to spread and his vision inspires an industry revolution that’s way overdue.